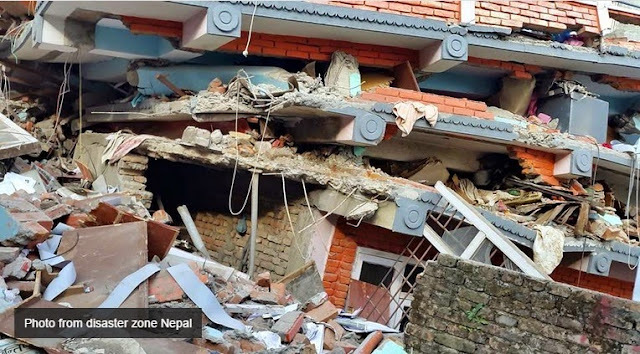 LATEST DEVELOPMENTS: At least 36 people in Nepal and 3 others from neighboring India have died in the fresh 7.3-magnitude earthquake which struck the Himalayan country and neighboring states on Tuesday, May 12. Nepalese Home Ministry Spokesman Laxmi Prasad Dhakal told to CNN that a total of 1,129 have suffered injuries due to the latest earthquake. The U.S. Geological Survey (USGS) said that the Nepal earthquake which occurred southeast of Zham, China was the result of thrust faulting on or near the decollément associated with the Main Himalayan Thrust, which defines the interface between the underthrusting India plate and the overriding Eurasia plate to the north. "At the location of this earthquake, approximately 80 km to the east-northeast of the Nepalese capital of Kathmandu, the India plate is converging with Eurasia at a rate of 45 mm/yr towards the north-northeast – a fraction of which (~18 mm/yr) is driving the uplift of the Himalayan mountain range," USGS added. Since the April 25, 2015 Nepal earthquake known as the Gorkha earthquake, USGS said that today's event is the largest aftershock to date. However, the magnitude-7.8 quake last month- which killed more than 8,000 people -- was more than three times bigger and 5.6 times stronger, in terms of energy released, according to the agency. In the middle of the day, Nepal's capital Kathmandu and other cities was shocked once again of the earthquake nightmare. At Kathmandu's airport, Channel NewsAsia reporter Jack Board has shared video of hundreds of people running of out of the building as the ground rumbled. Meanwhile, Canadian Red Crosss revealed a video footage of one frightening collapse of rocks near Dhunche, about 30 miles north of Kathmandu. On Tuesday, the Philippines and the whole world unite as '#PrayForNepal' once again dominated the social media trends.